Emirates Aviation University (EAU) is participating in the first edition of the Global Investment in Aviation Summit, taking place from 27-29 January at the Intercontinental Dubai Festival City. The summit is organized by the UAE General Civil Aviation Authority and carries the theme “Linking Developed and Emerging Markets through Attractive Aviation Investment Opportunities”, with a focus on the aviation, air transport and air logistics sectors - which actively contribute close a third of Dubai’s total GDP output. 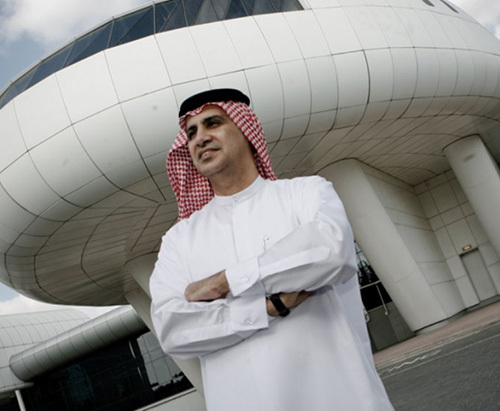 “Emirates Aviation University supports the growth of the UAE’s aviation ecosystem through its carefully designed programs and initiatives so students are ready to meet the demands of the evolving transportation industry,” said Dr. Ahmad Al Ali (photo), vice-chancellor of Emirates Aviation University. EAU regularly works with industry stakeholders to introduce new educational platforms, partnerships and academic projects that provide a pathway from university to industry for future graduates. Our participation in the Global Investment in Aviation Summit underscores our commitment to supporting the sector with well-trained and educated aviation professionals,” he added. The University offers an extensive range of educational opportunities designed to provide students with the best aviation-related specializations. Students can choose from vocational, undergraduate and postgraduate programs that combine the highest academic standards with the latest developments in the field of aviation spanning Aviation Management, Logistics & Supply Chain Management, Aviation Safety, Aviation Security, Unmanned Aerospace Systems Design, Aerospace Engineering, Aircraft Maintenance Engineering amongst others.